Depauville, NY (March 28, 2019) – A serious collision that took place Thursday morning, March 28th, in Gunns Corners ultimately ended with one vehicle being pushed underneath a tractor-trailer. The crash was reported to have occurred shortly after 11:00 a.m. at the intersection of Route 12 and Route 180 for reasons that are currently being investigated. Police reported that a vehicle that was traveling south along Route 12 collided with a tractor-trailer that had been heading northeast along Route 180. The entire hood of the vehicle ended up underneath the tractor-trailer due to the impact of the collision. Emergency medical crews and police were immediately called to the scene. The driver of the car was promptly transported to Samaritan Medical Center via Thousand Islands Emergency Rescue Service. Authorities have not reported on the severity of the victims’ injuries, and the cause of the accident is currently under investigation by police. 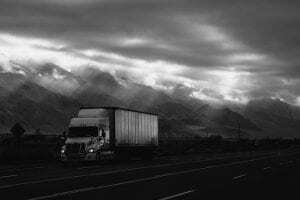 New York truck accidents, unfortunately, occur nearly every day and commonly result in critical or fatal injuries. Before moving on, we would, first and foremost, like to offer our deepest sympathies to the injured party as we preserve our highest hopes for their full recovery. At Hach & Rose, we understand that there is almost nothing as overwhelming as recovering from a sudden injury, and we have made it our mission to hold negligent parties and other entities accountable for the pain and devastation that they cause. Our dedicated accident attorneys are here for you 24/7 to answer any questions you may have regarding your involvement in a personal injury incident. If you have been hurt in a New York truck accident, please do not hesitate to call 212-779-0057 and let us put our experience to work for you today.